When one employs 20/20 hindsight, the most obvious thing about disproportionate feelings is that they are, in fact, disproportionate. One could theorize that, if feelings are disproportionate, some extra feelings are arising. Feelings that perhaps have not much to do with the situation that seems to have triggered them. Feelings from somewhere else. Various answers may apply. Sometimes a lot of fun can be had between hypnosis, dreams, memories and gnosis. The disproportionate feelings may seem to have something to do with anything from discipline in kindergarten to past lives. Often, several explanations will make some kind of sense. I suggest that it really does not matter. Wherever disproportionate feelings arise, the irreducible fact is that they are available to be felt. Exploration of the 'reasons' for them can be useful, but, if overused, exploration becomes a mechanism for avoiding the important thing - the feelings. No matter their source, the feelings that arise in you, genuine to the situation or triggered by it, are in you. Irrespective of where they came from or who is to blame for them, they are in your body. Once that has happened, they are yours to feel, just like all other feelings that arise in life. We have two main points of resistance. Two arguments the mind uses to avoid strong feelings. The first is that someone or something external is the cause of these feelings and eliminating or distancing oneself from that someone or something is the intelligent strategy. The second is our objection to the things we assume we would 'have to do – if we allowed ourselves to feel these disproportionate feelings – the murder we think we would want to commit or the everlasting depression we think we would fall into. The first is a matter of personal dignity. Even if one's feelings are caused by another, they are feelings that one has in one's body/subconscious and, as Shreck says, "better out than in." The alternative is to leave them in the subconscious from where they will manifest as trouble in the body and will strive, through interference with your conscious mind, to get themselves felt. The second is more of a concern for most of us. Before we allow feelings-past to be felt in fullness, it may look to us that we would "have to" … commit suicide, suffer endless shame, commit murder etc… if we allowed ourselves to feel them. This is a scary thing to face, but for one factor: Once you have felt something, it no longer has the pressure to it, the demanding quality it had while it was repressed. Once it has been felt in fullness, one is free from it. The feelings in the subconscious are mostly an accumulation of whatever was "too much" to experience in fullness at the time. All that is required is that they be felt. They were put away for later … now is later. All they want to do, all their clamoring from your subconscious, all their influence on your life is all to just get themselves felt. Just that. Felt. That's all that has to happen. Once felt, they have no force to them, no demand. They go where they belong – into the past and they no longer interfere in the present. The more bravely you live and the more willing you become to face your triggers, the sooner it will be that you are no longer subject to them. Just reviewing your day and letting yourself in on whatever you have resisted is a good start. Heart meditation is useful if it gets really sore. 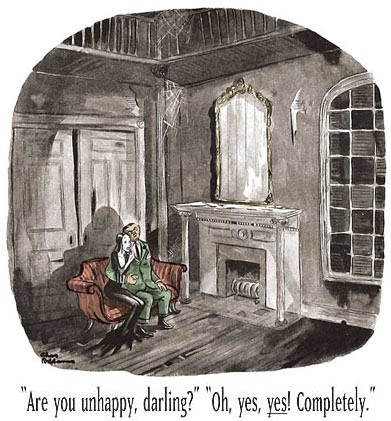 Developing an Addams Family attitude can also be greatly helpful. The possibility of responding and relating to your experience more directly, less and less from whatever has been triggered. If things go well, this can bring you to the attainment called "Living in the moment". of yourself, deserving of the deepest respect and friendship. Offer them the deep rest of yourself, and let them warm their toes by your raging fire..."
Ab soul utely timely and fabulous. we are infact..thawing from eons of not feeling..so disproportionate feeling reactions abound..
Self love nourishment is so needed during these times..
What about Tantra ?? Tantra is no philosophy !! Tantra is brute force !! I love that your page is not only about the sexual side of this study, you also touch the feelings and emotions. It's obligatory to be full mentally and sexually.